My apologies, this post was intended to come out Thursday but I was having some issues with my laptop and couldn't post it, so the Pre-Wedding Week Series will continue through the middle of this upcoming week. 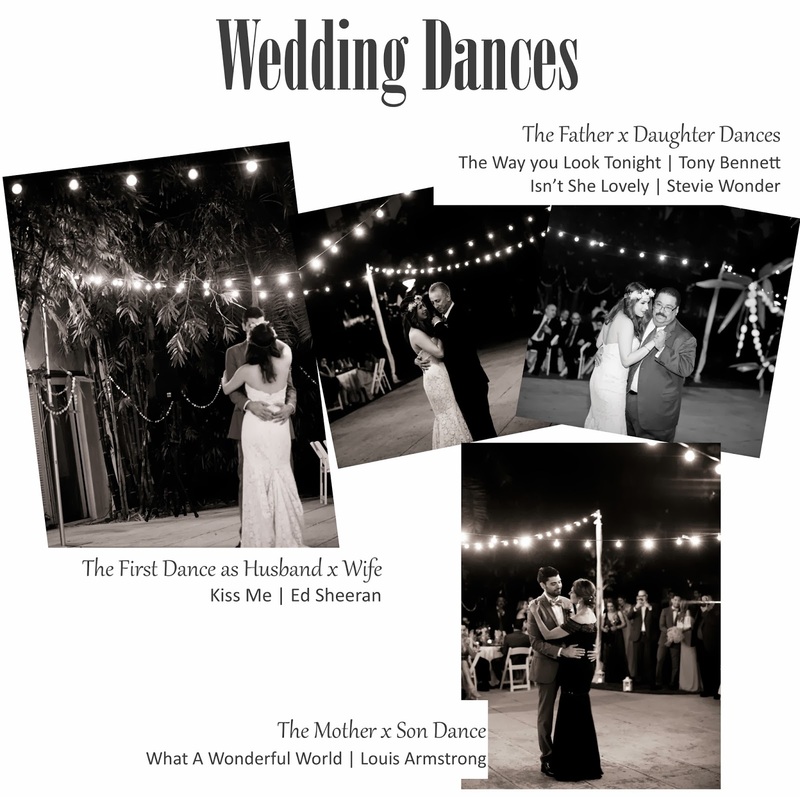 The third installment of this series will present the songs that we selected for the main dances of our wedding. The hardest song selection was the Father and Daughter songs as I wanted them to represent my connection with both my father and step-father, the choices I made in the end where the perfect ones, because it really embody how they each feel about me. My husband from long ago knew what song he wanted to dance with his mother and he chose it because it is such a happy and positive song. The selection for our first dance was the easiest one, although for years I had two songs in mind that I wanted to use, but a few months before our wedding, I stumbled upon the song that in the end we selected and I was instantly in love and I knew we had to use it for our dance. As some of you know, I am an eternal lover and romantic, everything that I wanted for our wedding was feeding off of that sensibility. For the ladies who are already married or will be soon, what songs did you select for your dances? I would love to know, please share.